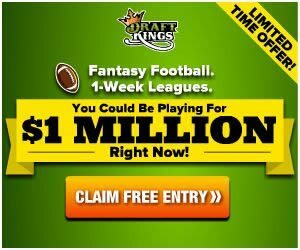 DraftKings announced their $4 Million Fantasy Basketball World Championship (FBWC)! The 1st place champion will receive $500,000! All 125 finalists will cash out! The DraftKings live championship will be held on March 17th, 2018 in downtown Los Angeles, CA. Each finalist will receive a VIP package ($6,000 value) including a four night trip (arriving on March 14th, 2018 and departing on March 18th, 2018) for two and a $1,000 credit for round-trip airfare. The live final includes the contests of NBA games scheduled on March 17th. You may qualify up to five times for this tournament. The DraftKings FBWC is a qualifier event only. 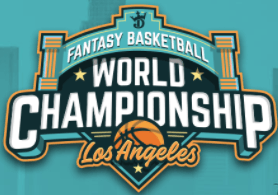 Fantasy basketballers, don’t miss out on your chance for your share of this guaranteed $4 Million prize pool in the world’s largest daily fantasy basketball championship!